Buying diapers and milk for babies is just boring… This is how the idea of selling diapers and milk on a subscription basis came. Myself? Well… I live a little bit north of Australia… in Singapore. I settled in four years ago with my wife after having worked in France. After graduating in a French business school, I started to work in finance but I always kept an eyes on what was happening on the internet. I was reading a lot about e-commerce until a point where I needed to experience it by myself and came White As Milk idea. What’s the story behind White As Milk (WAM)? How did it get started in Singapore? I started in Singapore by communicating about the project in November 2011 with White As Milk blog, and as I felt a little bit lonely I asked other parents in Singapore to contribute to the blog. In addition to sell baby products, I thought that It would be a good idea that white as milk becomes a place for parents to chat and share parenting tips and life in Singapore. The shop has been launched 10 month later in September 2012 with NewQuest help. What platform do you use and why have you chosen this solution? I chose Prestashop because I heard really good feedback about it and also because NewQuest confirmed me that they could develop a subscription module on top of it. The subscription model is a very interesting idea: can you enlighten us on how it technically works? Implementing it was in the end more complicated than I thought. Parents have access to a dashboard (separate from the cart) where they can manage their “subscribed” products. Remove, add products or change quantity, decide if they want a 3, 6 or 9 month subscription and choose the date of their monthly delivery for the coming months. 5 days before the delivery they will receive a reminder telling them their products are coming and if they want, they can add additional products to benefit the free delivery of the subscription. 2 days before the delivery, we send another email, telling them that we are processing the delivery (no action can be taken on the subscription). Parents can cancel anytime their subscription for no reason. The payment solution behind the subscription module is PayPal. And how do you manage it on a daily basis (especially since you are a full-time father)? What are you expecting for WAM in the near future? Can we expect WAM to fly out to the Australian market? Have you got any exclusivity you want to share with NQ’s readers? Yes, do you know that White As Milk is not only selling diapers and milk but we source baby products that we love and we propose in our staff pick section, including this amazing natural baby skin care brand: Four cow farm, which comes (guess where?) from Australia. Of course! We love the family story behind this company. Thank you Guillaume and all the best for you and WAM! 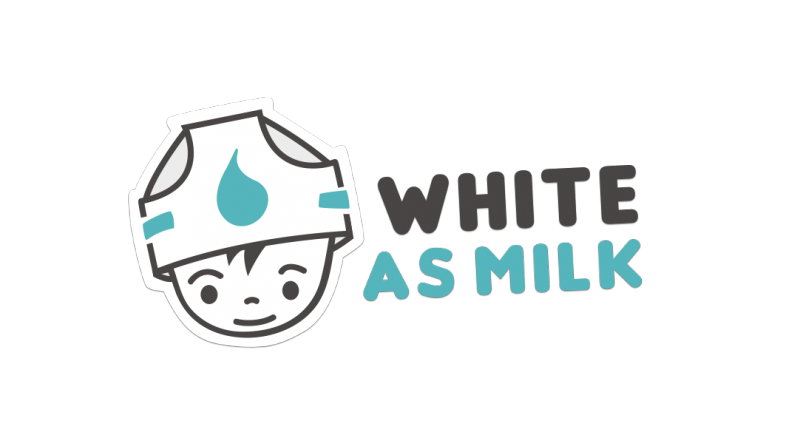 If you want to know more, make sure you visit the White As Milk website.